Any child who is currently attending kindergarten through eighth grades in a Vestavia Hills City School may attend the EDP at his/her school. Vestavia Hills East, Vestavia Hills West, Vestavia Hills Central, Vestavia Hills Cahaba Heights, Vestavia Hills Liberty Park Elementary, Vestavia Hills Liberty Park Middle School and Pizitz Middle School provide after-school care for students. Parents are required to complete registration forms and pay a registration fee. All fees are charged on a weekly basis. Drop-in service is not available. Children may enter and leave the program at any time during the course of the school year. Parents are responsible for updating information on the child's enrollment card. Information such as correct phone numbers (for work and home), emergency contacts, physician's name and number can save time in an emergency situation. Please up-date this information when necessary. The program reserves the right to ask parents to remove their child if he/she cannot adjust to the program and/or for behavior problems. (See Disciplinary Guidelines) Parents are given notice of pending withdrawal ,however, should a child's behavior become uncontrollable or a hazard to the well being of others, immediate dismissal will occur. 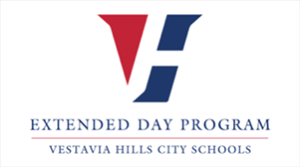 I have read the Parent Handbook for 2017-2018 and understand the procedures outlined for the Extended Day Program for Vestavia Hills City Schools. There are times when students will need medications while at school and EDP. EDP follows the same guidelines that are followed during the school day. Please see your local school website for additional information and to download a form which must be completed by the child's physician. Parents are responsible for updating information with the registrar at the school. EDP will follow the directions followed during the school day. Correct phone numbers for work and home are essential; emergency contact name and number, physician's name and number can save time in an emergency. Please update this information when necessary.